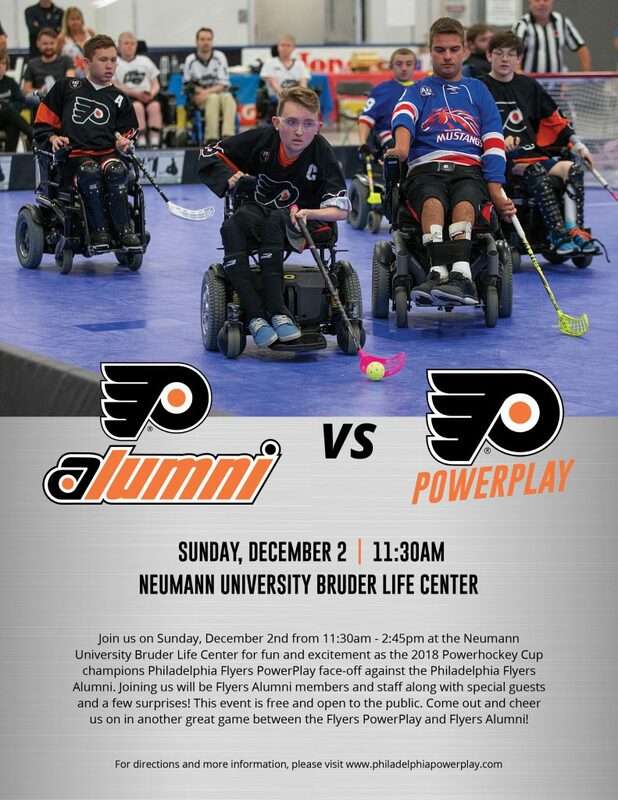 Join us for fun and excitement as the 2018 Powerhockey Cup champions Philadelphia Flyers PowerPlay face-off against the Philadelphia Flyers Alumni Association on Sunday, December 2nd from 11:30am-2:45pm at Neumann University Bruder Life Center. Joining us will be Flyers Alumni members and staff along with special guests and a few surprises! This event is free and open to the public. Come out and cheer us on in another great game between the Flyers PowerPlay and Flyers Alumni! For directions, please visit our schedule page. See you there!